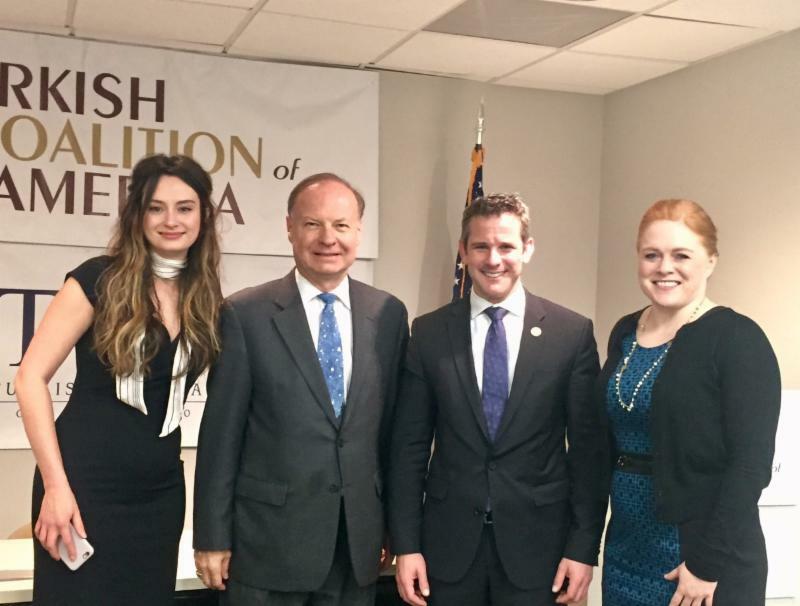 In the month of April, TCA attended events hosted by Turkish Americans from Dallas, Ft. Lauderdale, Houston, Pittsburgh, and the Washington DC Metropolitan Area in honor of Congressional Turkey Caucus Co-Chair Pete Sessions (R-TX/32nd) and Congressmen Ted Deutch (D-FL/22nd), Al Green (D-TX/9th), Mike Doyle (D-PA/14th), and Adam Kinzinger (R-IL/16th). During the events they discussed U.S.-Turkey relations and issues important to the Turkish American community. TCA President G. Lincoln McCurdy attended the White House Press Foreign Press Correspondents Reception at the National Press Club on April 29. Attending were representatives of American and foreign media. White House officials were also invited. This is the third year in a row that McCurdy has attended the annual reception. On April 20, TCA President G. Lincoln McCurdy participated in a high-level discussion on Turkey’s post-referendum economic outlook at the U.S. Chamber of Commerce with keynote speaker H.E. Mehmet Simsek, Deputy Prime Minister for Economic and Financial Affairs of the Republic of Turkey. TCA President G. Lincoln McCurdy participated in a lunch with Miami Turkish Consul General Ozgur Altan and representatives of the Turkish American community in Southern Florida. TCA President G. Lincoln McCurdy attended a piano and violin recital at the Turkish Ambassador’s Residence in Washington, DC on April 4. The recital featured Julide Yalcin Dittgen, Concertmaster of the Presidential Symphony Orchestra of Turkey, and Elif Onal, an award winning pianist and Associate Professor in the Piano Department of Ankara University State Conservatory.